This SET model is a bridge between old and new. It has new appointments such as the pods, tuners and bridge. 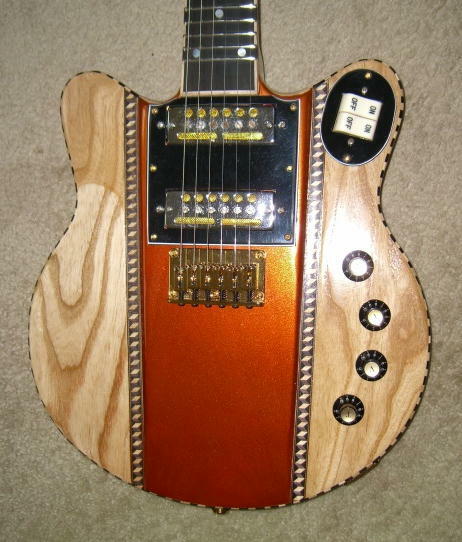 but it has old stuff such as 60's foil pickups, rocker switches and knobs. It is another in the line of RWK double-cutaway's. This one is made from ash. It has dot fret markers. The fretboard is ebony. The binding is a combination of ebony and ash, also functioning as the side fret markers. It also contains the combination ebony and ash block binding around the top of the body. Original ergonomic body design but in a double-cutaway style, making guitar a comfort to play. Solid ash through-neck construction, with through-body string mounting for maximum sustain. 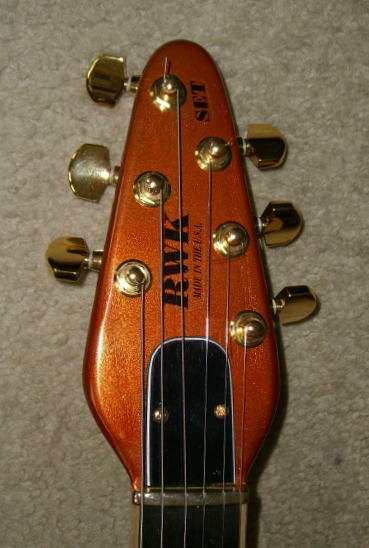 Translucent finish with Fiery Orange center and headstock face. Ebony fretboard, 24 3/4" scale, 10" radius, 1 9/16" width at the nut. Frets: 24, a full 2 octaves, width-.106", height-.036". Tailpiece: Strat non-tremolo string-thru style. 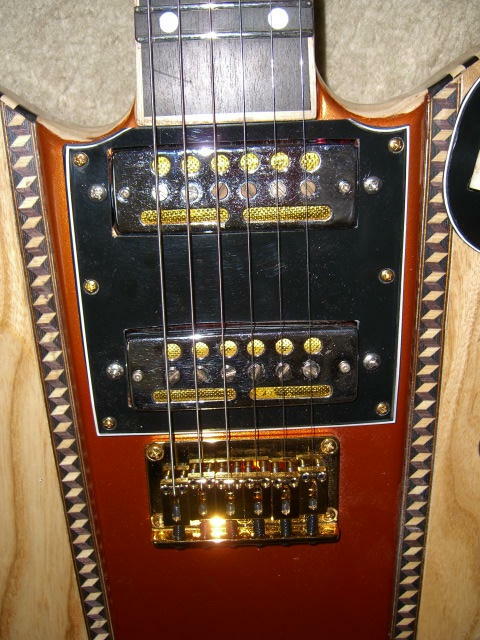 Pickups: 60's foil single-coil pickups with custom adjustable anchors. 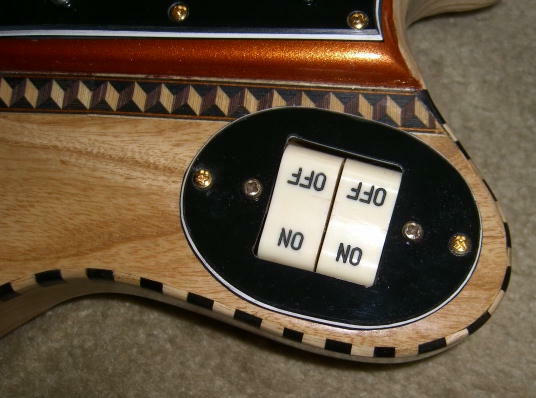 Separate volume and tone controls, with vintage knobs. Combination ebony and ash block binding around the top of the body and the neck. The selling price is $1,200, which includes shipping, insurance and a gig bag. Shipping is within the US only.